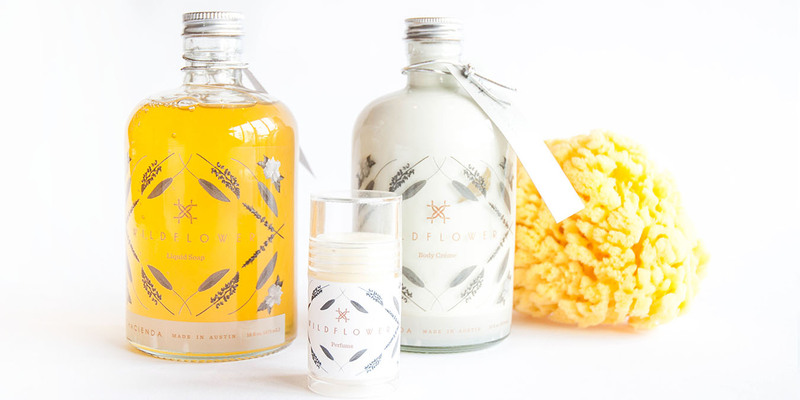 Product packaging, website design/development and marketing strategy for Austin boutique. Located in the heart of Austin’s booming 2nd Street Retail District, HACIENDA Austin showcases locally sourced and globally inspired home décor, apparel and gifts for the modern HACIENDA lifestyle. Hacienda’s founder, Jessica Beattie, approached MODintelechy more than a year before Hacienda officially opened to tackle nearly all areas of Hacienda’s launch, including packaging design, press outreach, website design and development, social media strategy and execution as well as developing a series of marketing collateral pieces. Our partnership with Hacienda started with digital design and development. We developed an interactive splash page to serve as a placeholder while we built out what eventually became Hacienda’s e-commerce site with online shopping cart capabilities. We also integrated a newsletter sign-up form that would work to build initial leads prior to the lifestyle store’s launch. Because Hacienda was conceived from the global inspiration the founder encountered during her travels, we wanted both the website design and copy to convey an eclectic yet refined vibe. We also needed to establish a social presence for Hacienda to start a conversation about 2nd Street’s newest and most buzzed-about boutique. Based on the nature of the business, we chose to build profiles on Facebook, Twitter, Instagram and Pinterest and then developed a multi-tiered social strategy that would help establish Hacienda as a leader in Austin’s home and apparel space as well as garner national attention for the e-commerce site. As the launch grew closer, we consulted on what media outlets to create a partnership with for various press events Hacienda could host to generate buzz about the grand opening. 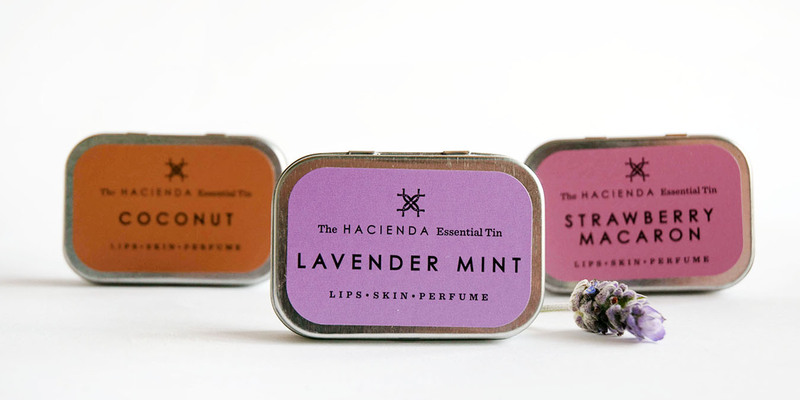 Simultaneously, we developed packaging creative for Hacienda’s proprietary bath and body line, Wildflower. Inspired by the line’s name and ingredients, we chose to feature actual photos of wildflowers in the creative. 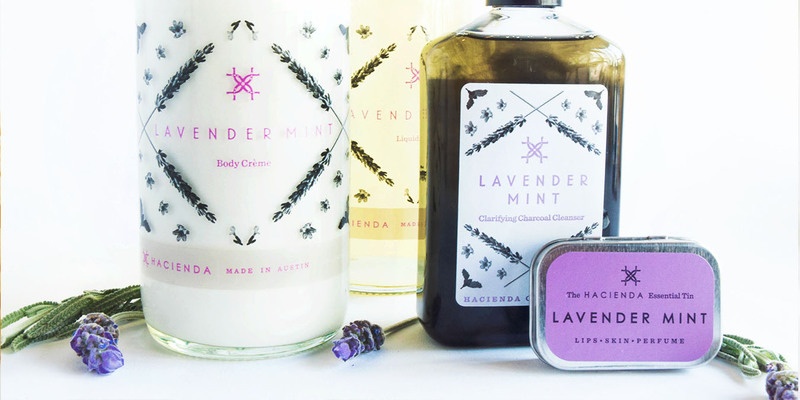 We chose a mixture of lavender, sage, bluebonnets and gardenias – all ingredients included in the formula. For the label material, we chose a clear material so as to not distract from the products’ locally made, recycled glass bottle. In addition to the packaging creative, we conceptualized and developed a series of marketing collateral pieces to correspond with the launch. From a QR-coded “Coming Soon” sign to an e-mail newsletter template to announce the opening, we played an integral role in all areas of Hacienda’s marketing efforts. 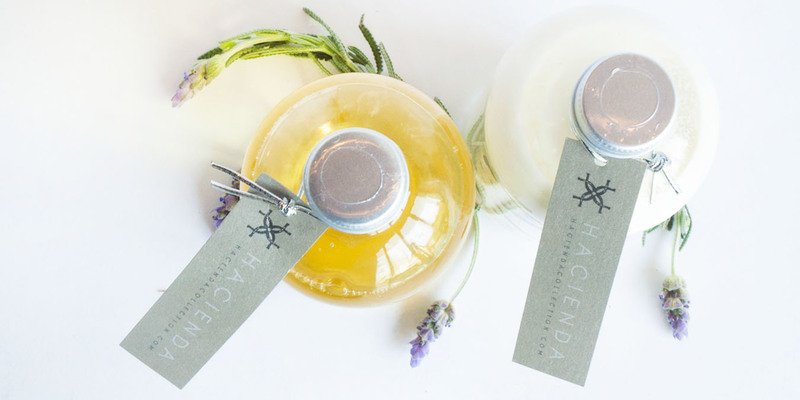 "Because Hacienda was conceived from the global inspiration the founder encountered during her travels, we wanted both the website design and copy to convey an eclectic yet refined feel." Hacienda held the grand opening event armed with an e-commerce site that reflected the brand’s eclectic yet clean aesthetic. Hacienda’s launch was met with welcomed reception, and the boutique continues to thrive in Austin’s 2nd Street district and constantly gain publicity from local and national press outlets.